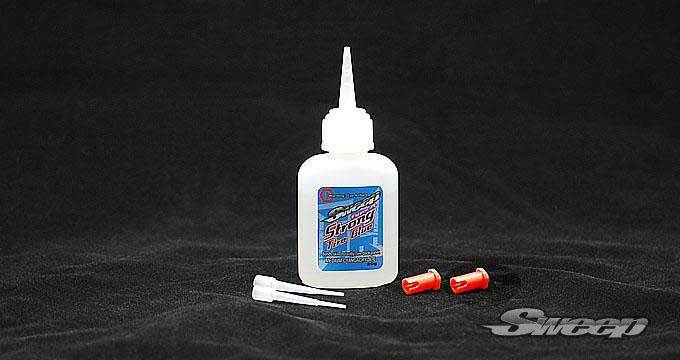 Contains specially formulated tires glue in a convenient soft bollte. This CA is specifically developed for Today's High RPM Tires and Wheels. The Glue features thin viscosity, staying liquid for about 5-7 seconds before drying, when it cured the created bonding will permanently keep your tires and wheels glued. Includes 2 molded tips and 2 needle caps!